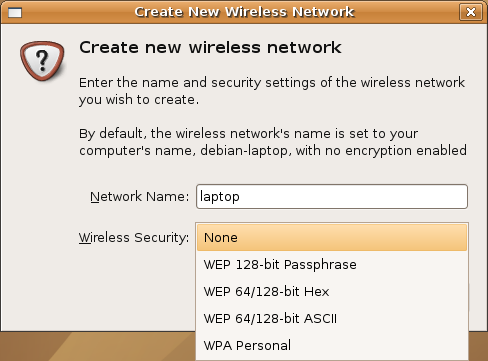 I have a Thoshiba laptop at home, I was running “Edgy Eft” (Ubuntu Linux 6.10) But one of the important things about it was its inability to connect to WPA-encrypted Wifi access points.In my home i have a WPA Enabled Wireless router so i need to connect to my wireless network using WPA.I am giving the procedure that worked for me to enable wpa in my toshiba laptop. Man… this worked like a charm! Thanks bro! Well, my notebook is a Toshiba Tecra A4. When I installed Hardy (8.04) couldn’t config neither wired interface (Marvell) nor wireless (IPW2200BG). With Intrepid Ibex (8.10) I got wired interface, but I still have problems to connect WPA wireless connection. 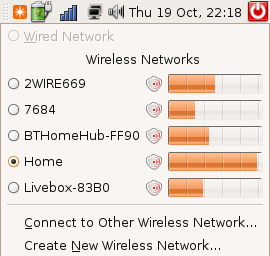 My iw interface detects 4 access points, but gnome-network-manager didn’t give me a WPA option. Oosh!! It worked when I configured it using Networkmanager, by DBUS & HAL. I tried it and nothing changed. Nothing happened. I still have full reception for my home network, but am unable to connect. Thank you for the tutorial. I’ve made some great headway with this when I couldn’t find any other information online! I have a problem, though. After all the steps, I don’t see the WPA option unless I create a network in Network manager with the SSID of my wireless. 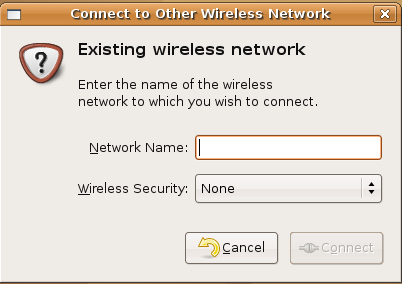 If I follow the tutorial steps and try to connect with the router, I don’t see the WPA option. I can’t connect to the network and my password doesn’t save. I am using a Toshiba with a Wi-Fi card that should be able to use WPA. I’m also running Ibex. RedBob, could you explain what you did to get this to work? Any help would be awesome!